In the years following My Bloody Valentine’s release of Loveless, the band has become a legend in the indie rock world. While the album was not a commercial success, the album received near-universal critical acclaim and is still well-regarded today. The band has amassed a cult following over the years as a result of the innovative sound that marked their work. 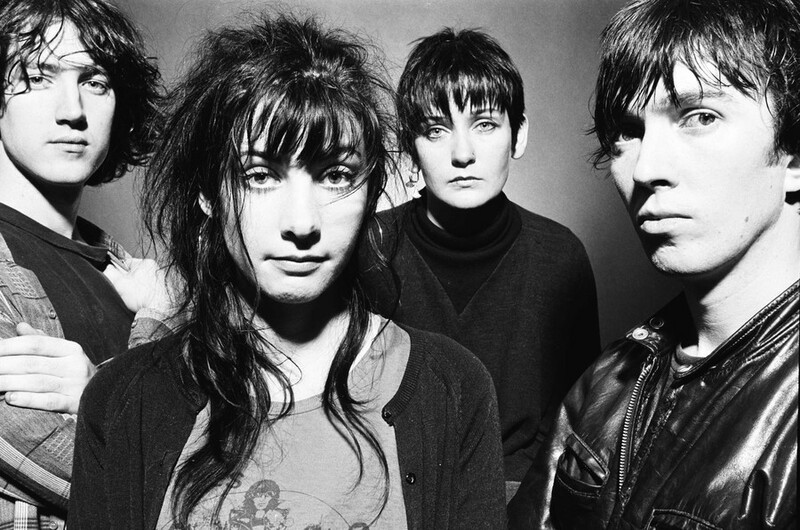 Many consider My Bloody Valentine to be largely responsible for helping to create the shoegazing genre, and their influence on music today remains massive. Despite their critical successes, after the 1991 release of Loveless, the band was mostly inactive. After a massive hiatus, they finally reunited in 2008, playing their first live shows in 16 years. Since then, they have played a handful of shows across the world, and released a new album titled m b v, the much-anticipated third album which the band began work on in 1996. On Sunday night, MBV returned to the Aragon Ballroom for one of a small handful of North American shows in support of m b v. They had not played in Chicago since 2008, and it is probably safe to say that they might not return for a few years—they have only played three shows in Chicago to date. While the band does not make the trip to Chicago very often, when they come to town, it’s sure to be a memorable experience. I know that I will remember this night for a long time—this was definitely the loudest show that I have ever been to, and the only one where free earplugs were handed out at the door. Despite the noise, the crowd was extremely calm—I was standing two rows from the front, and I never got pushed forward or bumped into. There were a lot of nodding heads, but people really only moved around during “Only Shallow.” It was kind of fitting—My Bloody Valentine is not music to dance to, but music to submit to. This was especially evident with the night’s closer, “You Made Me Realize.” MBV reworks this track for live performances, each band member repeating a single chord again and again as the noise increases to insane levels. The so called “holocaust section” lasted for about 10 minutes on Sunday night. The experience was extremely powerful and impossible to capture. In a nutshell, that is the experience of seeing My Bloody Valentine live—the sound is just too massive to share, and by the end of the show, everyone had put their phones away. As a whole, the band felt transported from another time—lead vocalist and guitarist Kevin Shields and vocalist and guitarist Bilinda Butcher each said about 10 words on stage, despite a few technical issues that caused breaks in the music for a minute or two. Someone even shouted “SAY SOMETHING!”, but the band remained silent; their energy was totally focused on the music. This was especially true of drummer Colm Ó Cíosóig and bass player Debbie Googe, who both looked absolutely exhausted by the end of the show. While at least some of MBV’s fame derives from Kevin Shields’ notorious perfectionism, the live experience was significantly more democratic. Shields was only in the spotlight when he absolutely had to be, often wandering back to his amps whenever he didn’t have to sing. Butcher was a much more gracious performer: Even though she hardly said a word, she was smiling from ear to ear for most of the show. Cíosóig and Googe both injected a raw physicality into the music that I didn’t expect—their presence on stage was intense, and it made for a much more visceral experience. In an era where so much of live music has to do with shared experiences, it was refreshing to see a band that totally refuses to be shared, even if it means that there are limited opportunities to see them. My Bloody Valentine’s music is extremely personal by its nature, so it’s fitting that their live shows are a necessarily individual experience. Even if I never get to see My Bloody Valentine again, I will remember this show for a long time—its raw emotional power was an experience not easily forgotten.